The Continental AG is a well-known company from Hannover, Germany. It started as a tire producer, but over time it became one of the world´s biggest automotive suppliers. At the “Eurobike” bicycle fair 2014 CONTI eBIKE SYSTEM (short “CeBS”) presented an innovative drive system for electric bikes. This high-quality drive system could become an important competition to the market leading Bosch electric bike engines. Manufacturers benefit from very flexible possibilities to integrate the Conti drive system into their electric bikes. The electric bike drive system of CONTI eBIKE SYSTEM consists of several different components which perfectly match each other: Mid-mounted engine, display, remote control (integrated into the grips), battery, carrier and a charger. All components have been designed with a special focus on highest user-friendliness, ergonomics and an elegant design (parts of the system have already been awarded with several, prestigious design-awards, for example „Eurobike Award 2013“ & „Reddot design award“). The Conti electric bike system has got the big advantage that it can be integrated into every bike-concept very easily. Due to the flexibility of the modular system the electric bike developers can design the bikes according exactly to their imagination – for example, they do not have to worry about extensive changes in the bicycle frame etc. Furthermore, the whole system is small in size, lightweight and nevertheless has lots of power and a very harmonic drive support. In short, the CONTI eBIKE SYSTEM should be perfect for any type of electric bike. Information about the Conti electric bike engine: It is a 250 watt central (geared) motor which is very compact and lightweight (only 3,4 kg). Nevertheless, the engine is very strong and has a nominal torque of 50 Nm (peak up to 90 Nm). Motor noises have been reduced to an absolute minimum. Both the torque sensor and the controller have been integrated into the engine. The riders pedal power will be measured with more than 420 signals per second which provides a top riding comfort and a very well-dosed support. The ContTech central motor offers optimal flexibility for electric bike manufacturers: There are several frame integrations possible and the motor has a 360° variable mounting position. The rider can select between four different support levels. The electric bicycle manufacturers can choose between a carrier- and a downtube-battery. By the way, the batteries are available with different capacities, too. The provided charger needs 3-4 hours to fully recharge the battery (according to the capacity). It is possible to charge the battery separately or directly at the electric bike. The remote control of the Conti drive system is integrated into the grips for a better riding comfort. This results in more safety for the rider, too. 3 Is it possible to optimize Conti Electric Bike Engines? Yes! Although the Conti electric bike drive system has not been on the market for that long, there is at least 1 very recommendable tuning tool available yet. 4 Which Conti Electric Bike Tuning Tools do exist? 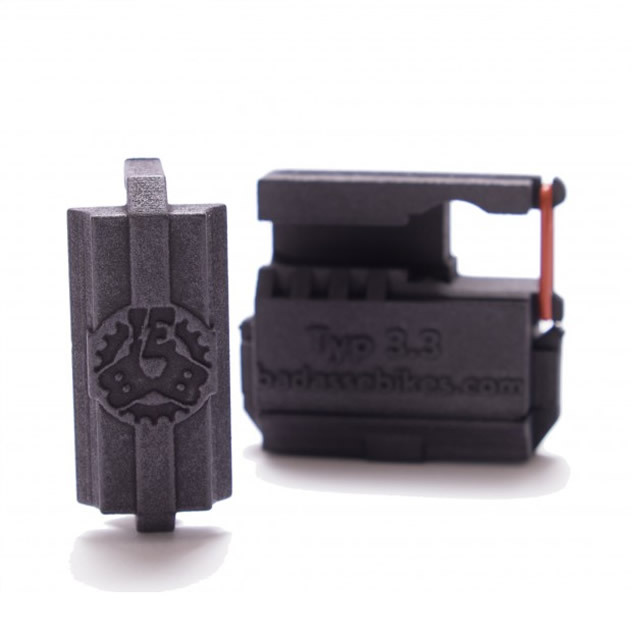 The Badassebikes Chiptuning Box is an electric bike tuning tool which has already proven to be very effective for Bosch, Yamaha, Brose, Kalkhoff and Shimano electric bicycles. Since very recently there is a version especially for Conti respectively Continental electric bike engines, too. The Badassebikes Chiptuning Box is very easy to handle. It takes away the 25 km/h speed limit of the Conti drive system and shifts it up to 50 km/h. This allows you to drive twice as fast with full motor support! This tuning tool has the advantage that it can be installed or uninstalled within only a few seconds – for example, if you want to use your electric bike legally on public roads again.